My mom is also thrilled to have another grandbaby. My Young Man is leaving for college too soon so Lauren will be a good distraction for her. Last weekend I made receiving blankets, my gift of choice for newborns. 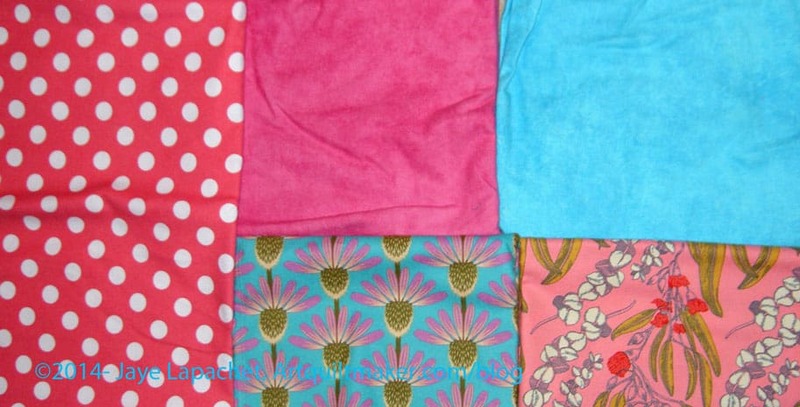 I bought the pink and turquoise tone-on-tone at Always Quilting a month or so ago. I thought I would find some other flannels to go with them. 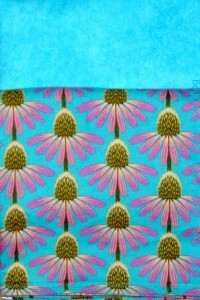 As I perused the wares at Hawthorne Threads, I saw the Pretty Potent prints in flannel and that large dot. Perfect! While I was hemming the edges I listened to an interview with Anna Maria Horner on Modern Sewciety (Episode 37, I think) where she talks about her inspiration for Pretty Potent. I was thrilled to know her inspiration for the fabric with which I was working. 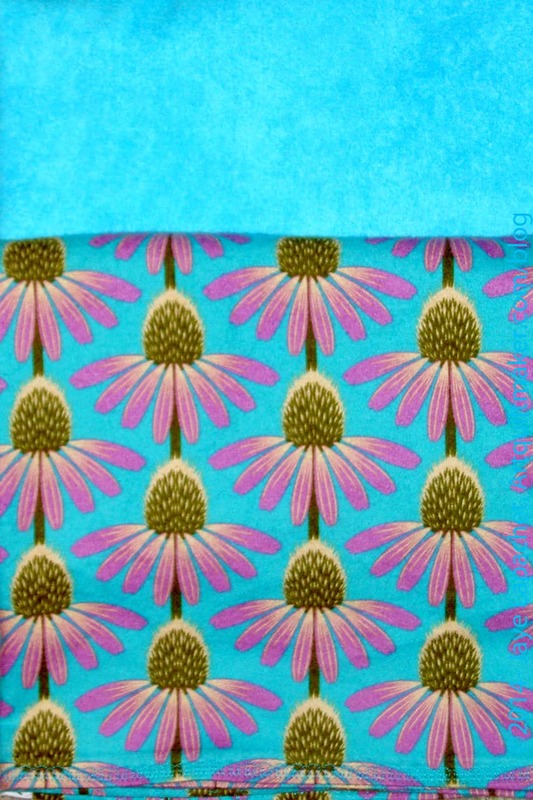 I really like the Coneflower (Echinacea) print. 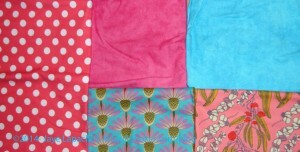 I think it is a little hard to use in quilts, but it is perfect for this receiving blanket. I have the card written and just need to wrap the gift and send it off.